The camera industry was rocked when Canon CEO Fujio Mitarai predicted that the market would shrink 50% in the next 2 years. 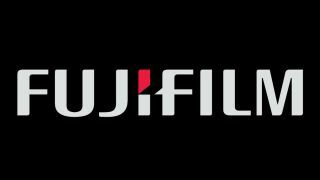 However, the head of Fujifilm's imaging division profoundly disagrees – and, in fact, sees the potential for market growth. "Totally, totally disagree," Toshihisa Iida, General Manager of Fujifilm's Optical Device and Electronic Imaging Products Division, told Imaging Resource. "We really just cannot believe that projection of Canon's." Iida cited the Asian market in particular, with its enormous population, and noted that while some countries may show decline, others will turn to growth – which would ring true for the global market. And, while Mitarai blamed his predicted market shrinkage on the actions of phone manufacturers, Iida insists that camera manufacturers are responsible for the health of the camera market. "I think it all depends on what innovation and what influence comes from the manufacturers. It's our mission to make the market viable. So I think our projection is there's a lot of room even to grow further in the camera market." Indeed, while the market as a whole is experiencing continued decline, the Fujifilm X-T3 performed 40% better than the X-T2, and the company's recent third quarter fiscal report was 10% above projections. A sharp reminder that the industry is about more than just the full-frame mirrorless Band Aid that Canon, Nikon and Panasonic are trying to place over the wound. "We don't believe that all of the customers will go to full-frame. At the moment, I think the proportion of full-frame is probably one-third of the market by value," said Iida. "Two-thirds of the market is non full-frame, which is predominantly APS-C, Micro Four Thirds, and some medium-format as well. "The customers do need options. So I think instead of just joining that full-frame competition, we will focus more on APS-C and we will focus on medium-format. I think for us, other competitors that are focusing on full-frame will maybe open up the opportunity for us, as long as we keep innovating for APS-C and medium-format."